Here’s the golden opportunity to do some serious guilt-free carbo-loading you’ve been waiting for! 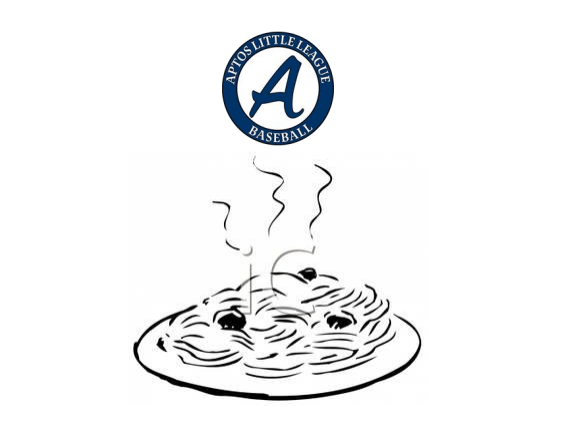 Aptos Little League is holding a Pasta Night fundraiser on Saturday, March 18th at 5 PM, at the Corralitos Community Center. Your dinner includes pasta, salad, bread, and dessert – beer, wine, and soft drinks will be sold. The price per plate is $20 for adults, $10 for kids age 5-16, and kids under 5 eat free! But it gets better – there’s an extended early bird sign up: a $50 family special price will be available until March 10th. They’ll have a raffle and an auction, all night long – with entertainment to be provided by the No Respect Band! All proceeds will go to benefit the Aptos Little League. Tickets can be purchased on-line here – but remember, the $50 family pack is only available through March 10! Support the Aptos Little League! 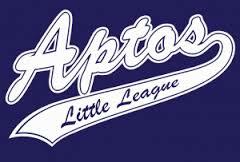 Aptos Little League is working hard on the kickoff for the 2016 Spring Little League Season! They have announced that the 2nd Annual Aptos Little League Poker Tournament will be held on Saturday, March 5th at the Seascape Golf Clubhouse – check-in time is at 5:30, the games start at 6 and lights out is at 11 PM. All the money raised will go directly back to our kids and the fields they will be spending many hours at, practicing and playing on this season. You can use this link to sign up for the tournament. The game is Texas Hold ‘Em and the buy-in fee is $125 per player. Don’t like to play poker, but still like to party? A guest party pass is only $25! Both passes include appetizers and drinks, but you must be 21 years or older to attend.